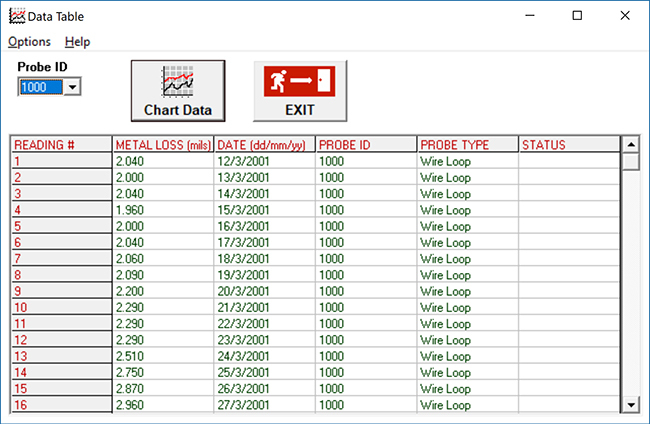 Metal Samples Corrosion Data Management Software (CDMS) is a collection of utilities designed to assist the corrosion specialist in gathering and analyzing corrosion data from Metal Samples probes, instruments, and coupons. 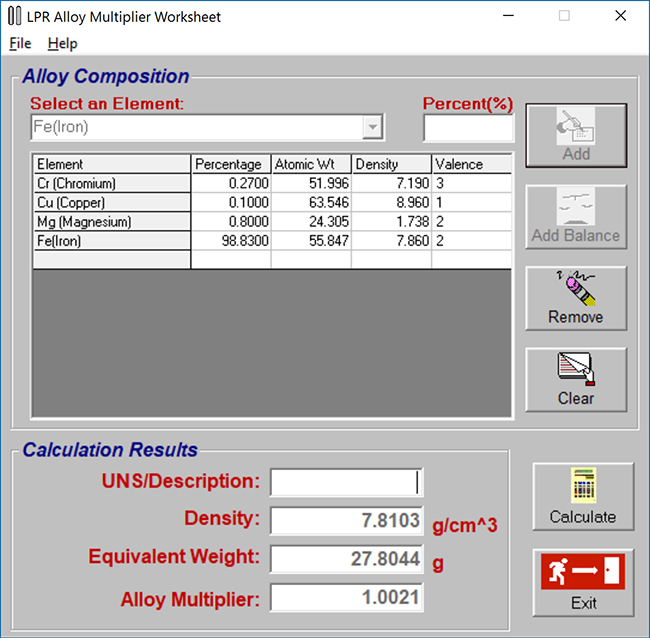 It includes an Instrument Download Center, a Data Analysis utility, an LPR Alloy Multiplier Worksheet, and a Corrosion Coupon Worksheet. 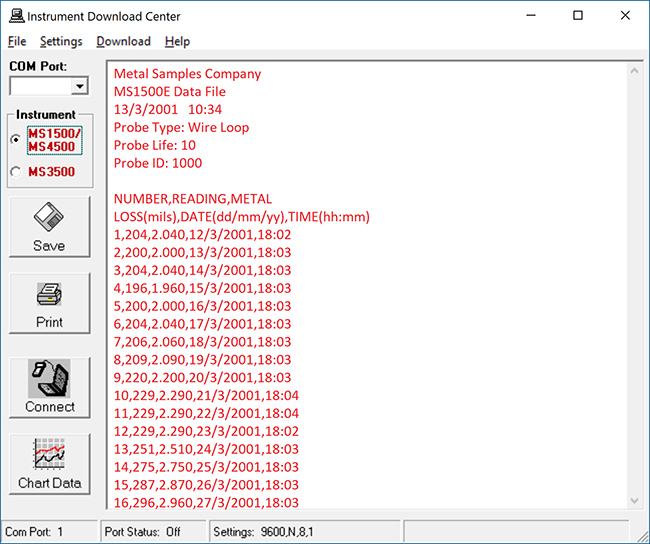 The Instrument Download Center is used to retrieve data from Metal Samples data loggers. 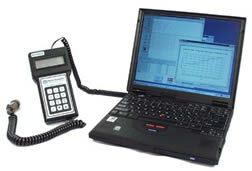 It offers a simple user interface, and automatic port configuration. Once data has been downloaded from an instrument, it can be saved, printed, and charted. 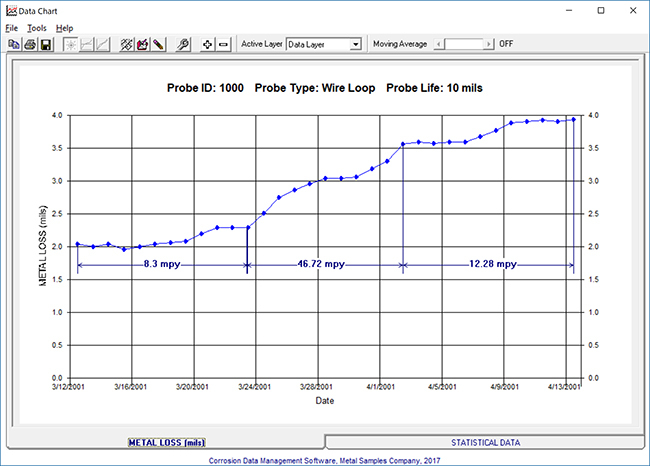 The Data Analysis utility provides a simple way to chart data from Metal Samples data loggers. Data is loaded into a table which allows the user to review the data, and to select the range of data to chart. 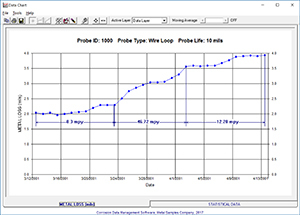 After a chart is generated, chart tools allow the user to modify the appearance of the chart, create footnotes, zoom in and out, view mean and trend lines, and calculate corrosion rate. Charts can be printed, and can be exported for use in other applications. 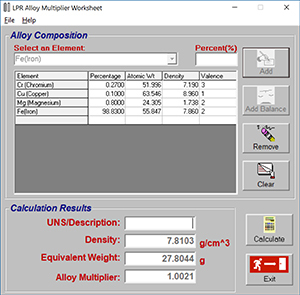 The LPR Alloy Multiplier Worksheet can be used to generate alloy multipliers for the 2-Electrode LPR measurement system. Simply enter the alloy composition by selecting elements from a drop-down list, then entering their content percentage. The program will automatically calculate the density, equivalent weight, and alloy multiplier for the alloy. Worksheets can be printed, saved individually, or saved to a database file. 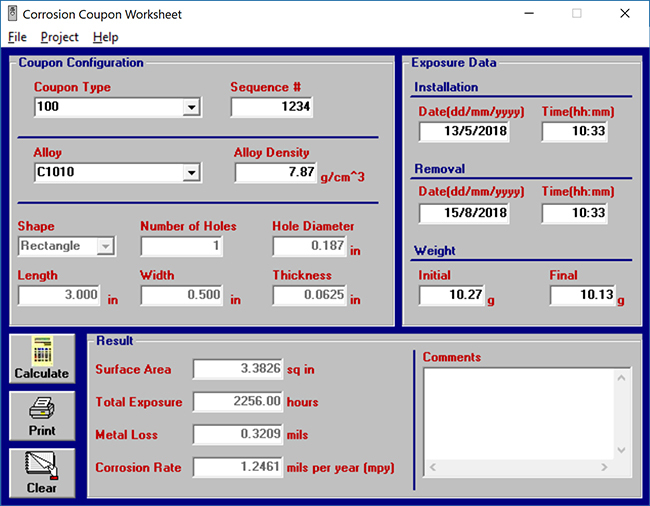 The Corrosion Coupon Worksheet is a simple, step-by-step method for calculating metal loss and corrosion rate from weight loss coupons. The user is prompted for alloy density, coupon dimensions, and exposure data. From these values, the software calculates metal loss and corrosion rate. Coupon sequence numbers and comments can be added to a worksheet. 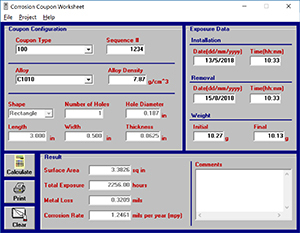 Each worksheet can be printed, saved individually, or saved to a database file.To simplify use, a list of standard Metal Samples coupons are built into the program. If one of these coupons is selected from the drop-down list, its dimensions are automatically entered in the appropriate fields. 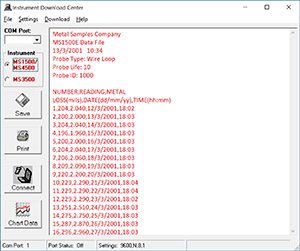 To find out more about Metal Samples Corrosion Data Management Software, or to get pricing and availability, please contact our sales department.